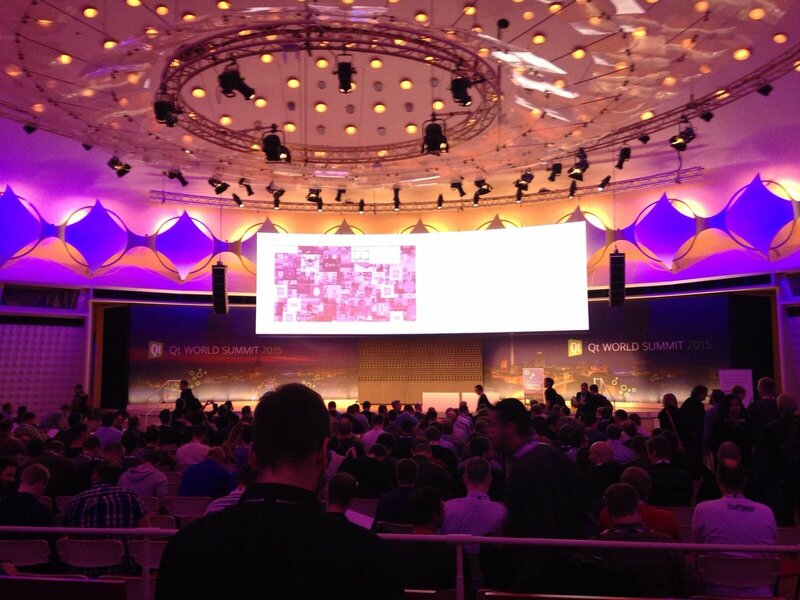 Ladies and Gentlemen this was the location of the Qt World Summit 2015, the absolutely incredible Berlin Congress Centre! 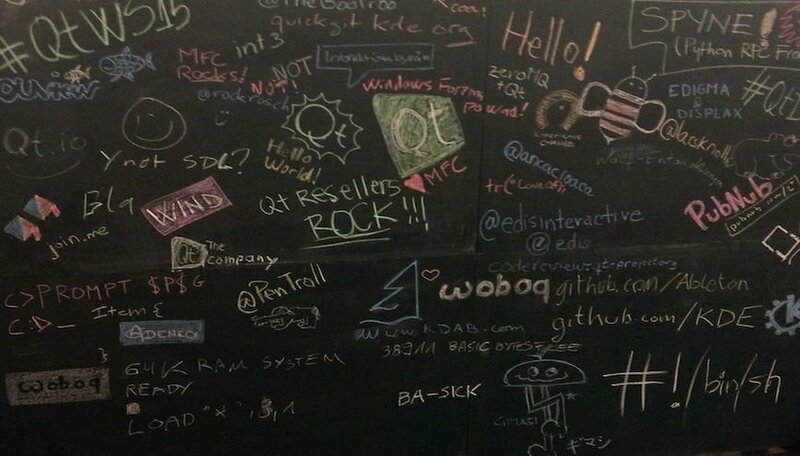 Here, we attended three days full of engaging talks about the latest developments in Qt. It was our first time at the Qt World Summit and it turned out to be a great chance to glimpse the future, discovering new technologies, applications, and features; meeting face-to-face with the people behind Qt frameworks and libraries such as Alex Leutgöb and Chris Feldbacher, co-founders of V-Play. V-Play is a cross-platform development framework for multiple screen games and applications. Because we had already worked on a similar project, we were really curious to hear their perspectives. The QtWS15 was a great occasion to exchange knowledge and express our points of view directly with Alex and Chris, becoming active contributors to their libs. Part of our work was exhibited at the conference by Massimiliano Pippi in his speech ‘How we stopped using the mouse and started drawing molecules with our fingertips: not the usual porting story’. In his talk, our friend Masci presented a project which let scientists adapt the advantages of a desktop scientific software application within a usable mobile app. Evonove contributed greatly to Masci’s end goals by developing two new Qt open source libraries. If you missed the event, click here for a recap. It won’t be as amazing as being there but, luckily you still have the next 12 months to get excited for the next edition! Our next stop will be on November 1-5 at Django Under the Hood. Stay tuned!